being able to customize her new home. We discussed these most important things, along with her timeline (it all needed to be accomplished within a month), and we got to work. Specifically, we created custom pieces to make her transition seamless. 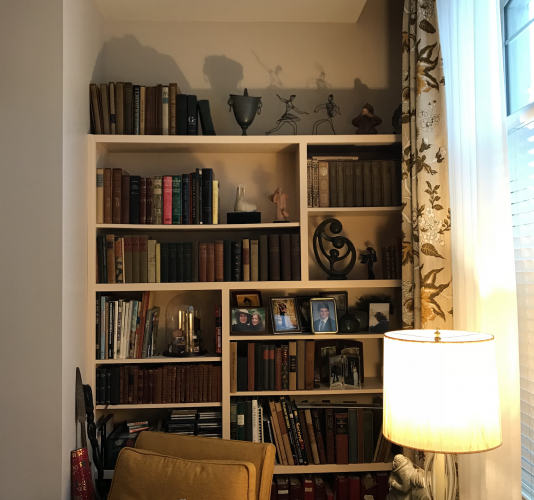 To begin, we replicated the built-in bookcases to match those her husband had designed for their home, then created new custom drapes from her existing fabric, and installed many other details all within one month. 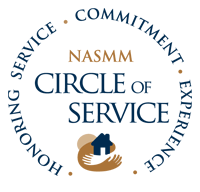 Working with Claudia and her team was the ‘icing on the cake’ for my move. I knew it was going to be a big project, and that I would need help. My family was ready to come and assist, but they never could have done what CMFTO did. Within one month, CMFTO created a floor plan, helped me choose my favorite things, packed and moved me. 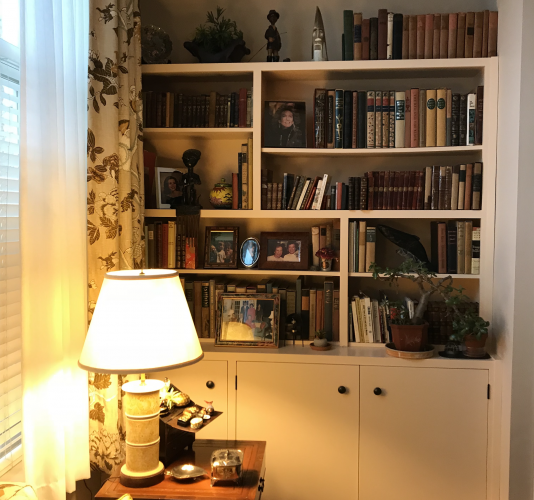 They even had bookcases built to match the ones my late husband had designed, and they packed up the books shelf by shelf to match exactly how I had them. My new home felt like home immediately, and I couldn’t be happier. I now live worry-free, surrounded by all my treasures from my travels with my family. It’s wonderful! 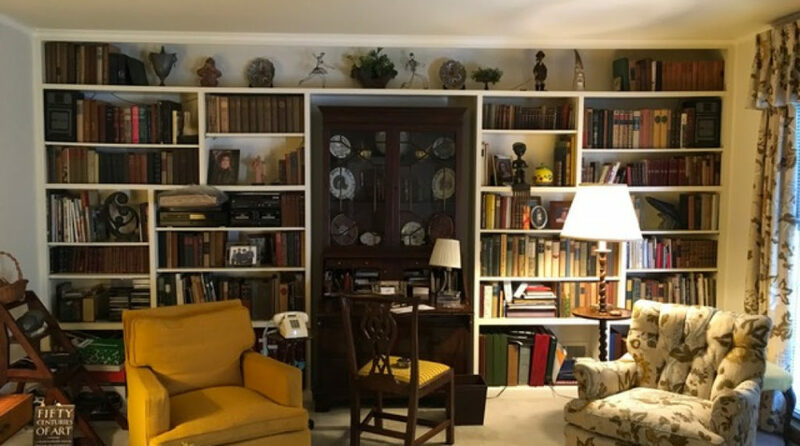 The original living room, with custom-designed bookcases by Ann’s husband. Ann’s new living room, with customized bookcases and drapes. We loved helping Ann transition to her new home with ease. Paying attention to the little details that make it feel like home are what’s important. 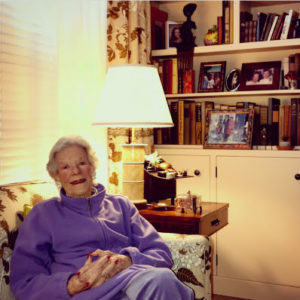 Replicating her living room and providing her with solutions for her beloved treasures was our pleasure.